Rocket Pilots is a boutique San Diego Digital Marketing Company. We provide SEO & Content Marketing services, Pay Per Click and Facebook Advertising. Companies choose to work with Rocket Pilots when they need reliable, honest, accountable and local experts. Our vision is to bring expert level digital marketing strategies to local Small-Medium sized businesses at an affordable price point. Call us today for your free and no obligation consultation. Rocket Pilots is a boutique San Diego digital marketing consultancy. Brian Hansen, Founder & President has managed millions of dollars in paid media over the years and helped rank dozens of sites on the first page of Google. Brian’s background in entrepreneurship has taught him the importance of valuing the relationship with each and every client. Brian spends an extensive amount of time understanding the details of the industry related to each and every client. 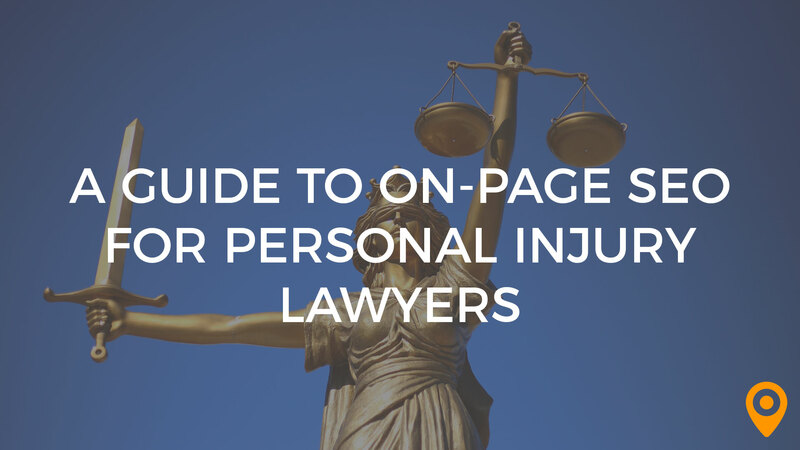 Properly optimize your firm’s pages with this SEO guide for Personal Injury Lawyers. Implement these strategies and you’ll be well on your way to flying by your competitors in the rankings and gaining more traffic from Search Engines! Brian was phenomenal. He took his time with us and made sure we were always aligned and on the same page. He explained everything clearly and always set great expectations! I hired Rocket Pilots to help my recruiting company get better ranked on Google (SEO). They did an incredible job. The first month they took the time to educate me on expectations and the process. Their follow thru was exceptional and we started to see improvement in the first 60 days and our growth has been incredible ever since. I have since hired Rocket Pilots to build us a new site and handle our social media. I highly recommend Brian and Rocket Pilots if you are looking to improve your digital sales!! What I appreciate most about Brian and Rocket Pilots is that I'm not only receiving SEO services. What I've received most is a comprehensive understanding of doing business online. Brian is a wealth of business knowledge and an SEO guru. There is absolutely nothing negative that I have ever experienced with Brian and Rocket Pilots. Brian has done an amazing job at helping to promote my company with Search Engine Marketing and SEO. Rocket Pilots is very professional and strived effortlessly to produce a hugely successful SEO campaign. My experience with Brian and Rocket Pilots staff is that they are professional, responsive, on time and courteous. Their suggestions have been outstanding, helping to propel my business to another SEO galaxy. Brian's work is highly organized and his proposals get straight to the point offering the highest and best use SEO choices required to next level. Brian is always available to answer my questions and extremely knowledge concerning San Diego SEO, websites, adwords, PPC, organic listings, local listings, social marketing and much more. If your looking for an honest San Diego SEO Company or reliable online marketing, look no further. I highly recommend Brian and the Rocket Pilots crew. Very knowledgeable and easy to work with. Anytime I have questions about anything or need anything changed on my website Brian is right there. Always answer his phone calls whenever I have a question. There is nothing that I did not like about my experience with Brian and Rocket Pilots. My overall experience has been great! He has exceeded my expectations for marketing my company. I could not be happier! !